This huge, 12 foot high inflatable game toss is fun for all ages! 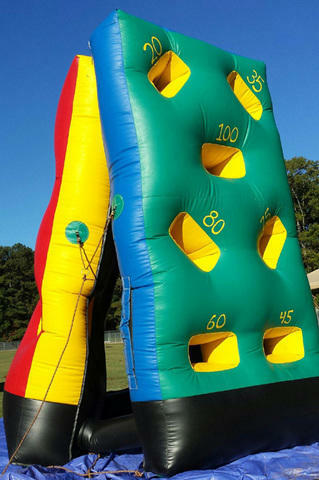 Ideal for carnival fundraisers or school events, it includes Frisbee toss, ball toss, and and a giant tic-tac-toe game. You get three games for the price of one!